Winter is here! Time for some ice cold action and it's going to be really fun! 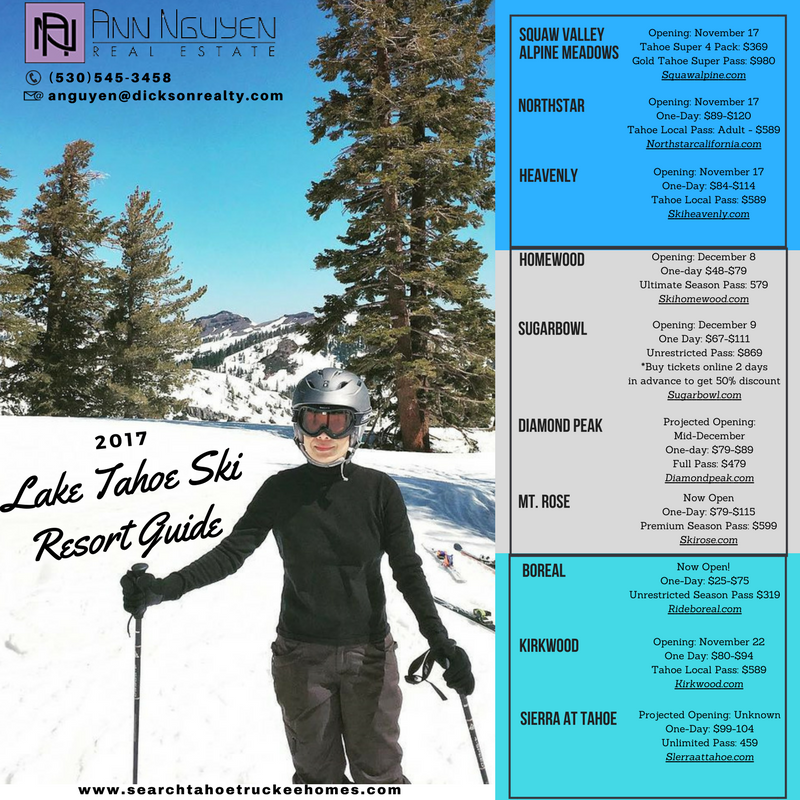 Here's the 2017 Lake Tahoe Ski Resort Guide that you can use. Tahoe Donner is such a lovely place to live in especially if you have an active lifestyle, you love the outdoors and sports, and you want to live somewhere near recreational areas with fantastic views everywhere. I have a new listing in Tahoe Donner-- the great location that has all these amenities: skiing, golf, tennis, swimming, recreation center, hiking and biking, and of course, the beaches! Check it out here!